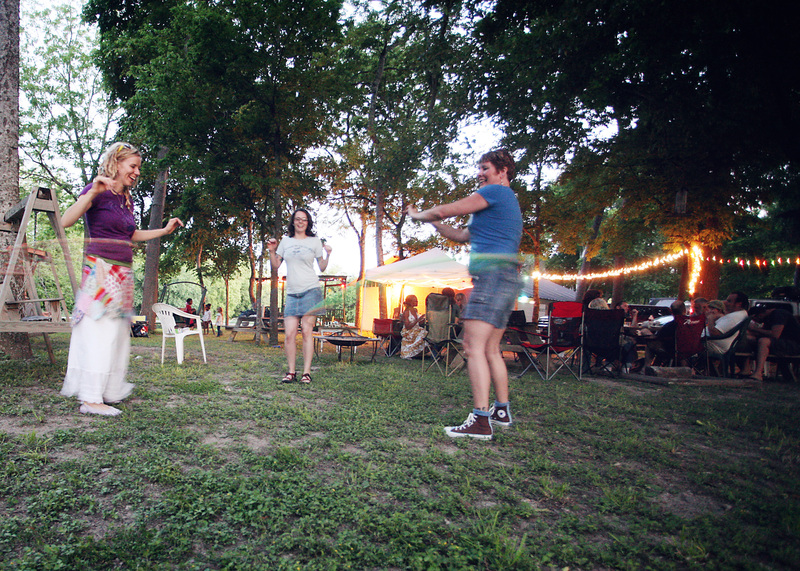 One of my very favorite things about hooping is the community building aspect. It’s so fun to be outside hooping and have another hooper come and join you. Or better yet, someone who has never been successful at hooping comes over to get a closer look. I’ve had so many people lately tell me, “I can’t hula hoop”. And a few minutes later, they’re rockin’ it. The look on their face the first time they “get it” is priceless! Love it. Wherever we go, we now have a common language with anyone. 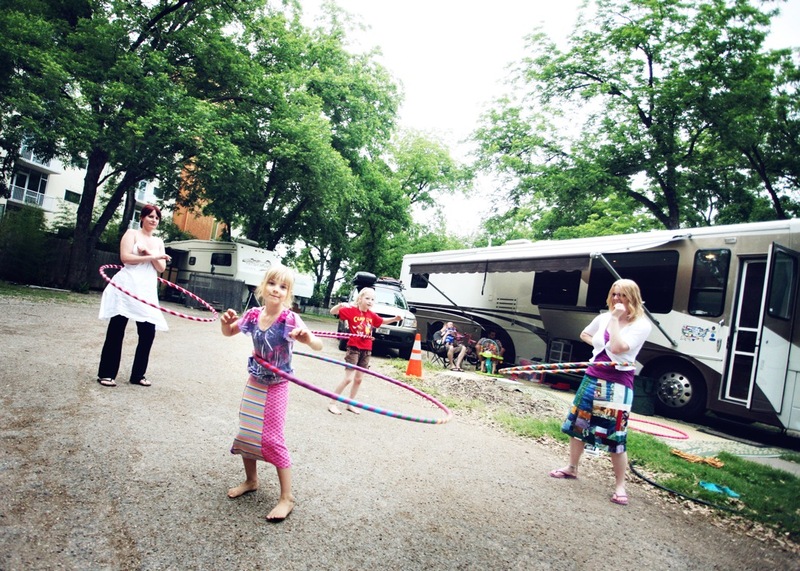 Hooping crosses any real or perceived “barriers” and opens the doors for communication. Wonderful conversations emerge as the hoop spins round and round. Many of you don’t have a lot of people hooping in your immediate area, but don’t let that stop you! I promise if you step out of your comfort zone and “recruit” some new hoopers, you will have an awesome meetup group in no time! It’s so much easier to learn new movements when you are seeing someone do them first hand, and not on a video. Not to mention the excitement of learning something new TOGETHER! 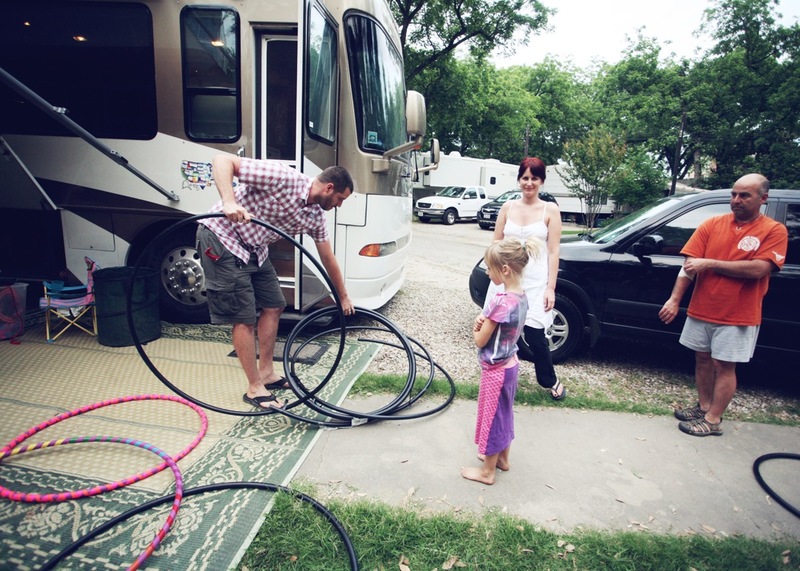 I would love to hear your story about hooping “in community”. Do you have a hoop meetup near you? How are you spreading the “hoop love’ around?